Family tents are getting sophisticated as the demand for family tents rises. In the past, large canvas tents or 3 bedroom tents were on the market. Now, large, strong, well designed tents are available for people looking to enter the larger tent market or for folks looking to upgrade their existing tents. Intended use – consider the primary use for the tent, such as backpacking or car camping. Whichever is the primary purpose, choose the tent accordingly. 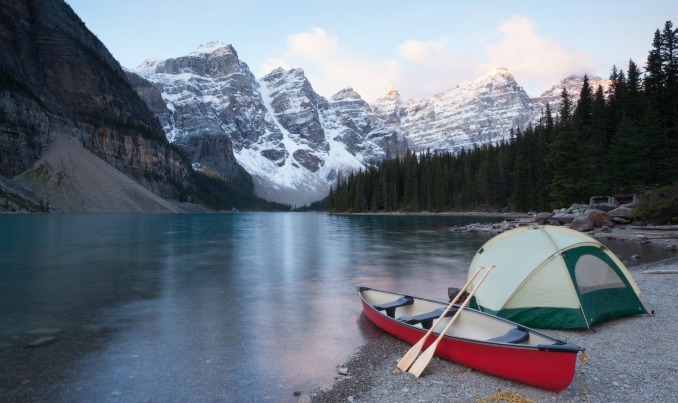 Even if you purchase a tent for a particular use, chances are, with the available tents on the market, you’ll be able to use that tent for many other purposes. Number of people (space) – do you have a growing family or need to shelter a pet inside? Consider the square feet of the tent, the peak height and the design. These 3 aspects will help determine if the tent you are searching for will fit your needs. Most tents are rated for “the # of people”. Only use this as a guide as the size of the tent is what matters, not what the manufacturer thinks on how many people the tent can sleep. Tent weight – in the past, shaving weight off your family tent was not a concern. Family tents rarely traveled too far from the vehicle. These days, with lighter materials, it’s feasible to carry a family tent for a backpacking trip. Lighter weight does not compromise quality in every tent. Whether it is car camping or backpacking, tent weight will play an issue these days. Tent design – tent design is a significant issue these days. Even if the overall square footage of a tent is large, usable space is determined by a number of factors, not just square footage. The peak height provides vertical space for people to comfortable sit up or stand up. The tent walls can be on a huge angle, which reduces usable square footage but sheds wind well. Or, tent walls can be almost vertical which maximizes usable square footage but is a huge sail when it comes to wind. A combination of design factors (square footage, number of doors, vestibules, rain fly, peak height) will round out the features of a tent. The tent is 44 square feet with a peak height of 46 inches. The minimum weight is rated at 4 lbs 14 ounces. This tent can be used for both car camping and backpacking. The rain fly is assembled tight so it maximizes weathreproof-ness and has some aerodynamic properties to shed wind as well. Pros: easy set up, minimum weight of just under 5 lbs, works well for both car camping and backpacking, weather proof, cost effective for the quality, 2 vestibules where one vestibule has a ‘shoulder’ to store more gear. Cons: not much room after 4 people. The Limestone 4P is a large tent that can withstand most elements, which is not bad for a 3 season tent. The tent has 4 poles and a durable rain fly that will shed most element without a problem. The Limestone 4P is slightly heavier than the Shifter 4 but has additional square footage that explains the weight difference. The tent is 53 square feet with a peak height of 50 inches. the minimum weight is rated at 8 lbs 5 ounces. This tent can be used for both car camping and backpacking but is on the heavier side for backpacking. The rain fly is assembled tight with odd areas of slack spots – none of which would compromise weather protection. Pros: roomy tent where you can spread out, 2 vestibules for plenty of storage, 2 tent doors for great access, included is the footprint and gear loft. Cons: setting up takes a little getting used to, higher cost, almost tips the “suitable” weight for backpacking. The Nemo Wagontop 4 person tent is a unique tent. Nemo prides themselves on quality and thorough research. The Wagontop 4P epitomizes their philosophy. The Wagontop 4p is not a fair comparison as it probably deserves to be in a class all by itself. Nonetheless, it’s still a tent and one that ranks high. The really cool feature on the Wagontop is the hub poles where you set up the poles first, then clip the tent into. Unlike other pole set ups, these poles are designed to be the exoskeleton of the tent without sagging. The tent is a huge 69 square feet with a peak height of 78 inches. It is designed so you can stand up in it. The minimum weight is 18 lbs 2 ounces. This tent is an exclusive car camping type tent unless if you think 18 lbs of tent is worth backpacking. The Wagontop is single wall tent, meaning it has no rain fly but is still weather resistant. Kelty is usually a reliable brand where value is their key motto. This is also true in their Trailridge 4 where you get high end features without paying the high end price. The Trailridge 4 is a reliable tent that fits everyone and everything inside or in the vestibule. It’s a 3 season tent that can be used for either car camping or backpacking. The tent is a little over 55 square feet with a peak height of 59 inches. The minimum weight is 10 lbs 7 ounces. The rain fly is weather proof and fits snug when set up properly. There is plenty of mesh for great ventilation and views outside. Cons: a little on the heavy side for backpacking, not as aerodynamic for windy areas. ALPS’ Taurus 4 is a solid, weatherproof tent. The materials are durable and the focus is on reliability to protect you from the elements, not the bells and whistles. With this said, it still boasts the features you expect tents to have these days, ventilation, durability, and simplicity. The tent is 64 square feet with a peak height of 52 inches. The minimum weight is 9 lbs 5 ounces. The rain fly is durable and weather proof but needs to be guyed out to be taut. The mesh is kept to a minimum but exists in key spots for ventilation – as a result, it stays a little warmer during cold nights. Pros: durable materials, reasonable size, cost conscious, weather proof, 2 doors with 2 vestibules. Cons: ventilation works best when the fly is guyed out well. There are great tent options for the growing family or for folks who just want more room. No need to sacrifice quality when it comes to selecting larger tents. 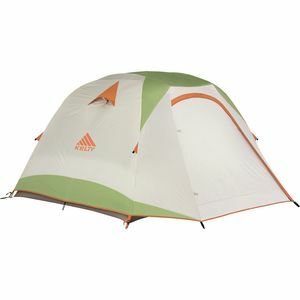 Hopefully one of the reviewed tents on this post will suit your needs. Tents can make a trip all that much better when it is sized appropriately and sheds weather well. One last tip is to always set up a tent before you head out. This will assure you know how to set it up and check to see if all of the parts are there. What makes for a great outdoor gear review? Outside Nation Copyright © 2019.